Not many people have managed to land the words Nazi and funny in the same sentence. And my guest today, the Emmy-nominated Larry Thomas, did it, too. He’s been an actor for 25 years and is a veteran of dozens of films, TV shows, and hundreds of theater performances. Larry recently finished shooting the film Postal and was seen on “Arrested Development,” “Hot Properties,” “Threshold,” “Scrubs,” and a Lexus commercial as a crazed pre-Bugsy visionary selling the idea of Vegas. Last year, Larry completed a 3- city, 140-show production of Neil Simon’s “The Odd Couple,” the female version, starring Barbara Eden. Who the hell is Larry Thomas? No answers for you, not yet anyway. Be patient, my friends. You’re not going to want to miss this interview. BOB ANDELMAN/Mr. MEDIA: Larry, I’m sure a few people recognized your name but most probably won’t. 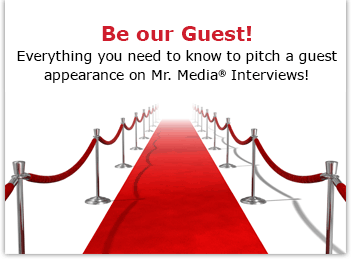 Could you end the suspense and tell Mr. Media listeners and readers the role for which you’re most famous? ANDELMAN: I think people now know exactly who you are. THOMAS: It seems to be a phrase that most of the world knows. I actually have been told by many people who I’ve met that they use the phrase constantly in their lives, and they’ve never actually seen the episode. They’ve actually gotten it secondhand from somebody else, but they love the way it sounds, so they use it. ANDELMAN: Isn’t that amazing? Now, do you remember getting the call to audition for that? THOMAS: I remember it really, really well. It was at a time in my life when I was actually under the threat of being thrown out of my acting class if I didn’t get a job, a paying acting job. I had a certain amount of weeks to get it. I’d worked and worked and worked, done interviews, tried to meet people, dropped off photographs, what they call pounding the pavement. One night I was actually having dinner with a guy that wanted me to work as a bail bondsman for his company because I was a bail bondsman, and I was trying to be more of an actor. I got paged, and I went to a pay phone, and my agent said, “There’s a call from ‘Seinfeld.’ They want to see you on this guest spot. The character’s called the ‘Soup Nazi,’ and I think they want you to work up a Middle Eastern accent. Other than that, there’s no scene available on paper or anything so you’ll just have to go in tomorrow morning and see what they have.” So it was kind of mysterious actually. ANDELMAN: How do you prepare for something like that? 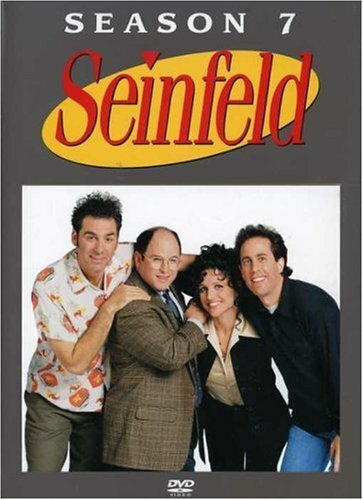 I was a big fan of “Seinfeld” since season three, and my episode was in season seven, so I had four years, at that point, of watching “Seinfeld.” I knew the characters. I knew how Jerry, George, Elaine, and Kramer would probably affect a guy called the Soup Nazi. It was so descriptive, the name, so I just worked on that. I was almost completely right on most of it except I thought Kramer would be like his worst nightmare, whereas instead, in the brilliant script by Spike Feresten, he actually had Kramer his only friend which I thought, in the end, was hilarious. So I just worked on it. I didn’t need to because when I got there the next morning, three of the six total scenes waiting there for me, and no soup for you was the third line in. So we had actually both thought of the same line, although Spike didn’t so much dream it up as much as heard it because that’s what the real guy that he based the character on in New York, Al Yeganeh, would say to people. ANDELMAN: I’ll come back to Al in a moment. So obviously you got the job, you auditioned, you got the job. What do you recall about being on the set and playing the character? Was it all laid out? Was it like a Neil Simon moment where every word, everything was laid out, or did it happen a little more improvisationally? THOMAS: Well, no. I stuck with whatever was written in the script, almost. I did ad-lib one word which has become a little bit famous actually, but it was almost accidental. But the script would change a little bit every day, anyway, because that’s how sitcoms work. No matter how funny you are around the table-read on the first day, and I’ve never understood this, but then again I’m not a sitcom writer or producer. The next day, it’s changed. And even the stuff you thought was really funny is different. On “Seinfeld,” if you’ve watched any of those special features about Larry David, and Jerry, even though they didn’t write the original script, they did a lot of the rewrites to make it fit more and more into “Seinfeld” and to Jerry’s mind — or mostly Larry’s mind — because this is before he took a break. But I pretty well stuck to the script. I was actually very nervous, to tell you the truth, because it wasn’t until after I went to the callback for the audition, which was yet another audition, that I found out that there weren’t just three scenes, there were six. And when a guest character has six scenes, he’s pretty much the guest character of the episode, which I didn’t expect. And it was really interesting because in the callback, I walked in, and the first time I just read for a casting associate named Brian Myers, but when I went back, I went to read for Jerry and Larry David, and Andy Ackerman, and Spike, who wrote it, and some of the other writers were there like Peter Mehlman because they were now producers and so forth. And I think George Shapiro, who is Jerry’s manager and also one of the executive producers of the show, I think he was there. He was Andy Kaufman’s manager. Danny DeVito plays him in that movie Man on the Moon. THOMAS: So he was there. There were a lot of guys there, and I went in, and it was a little late, so I actually just barely cleared the top of the stairs when the casting director grabbed me, Marc Hirschfeld, and dragged me into the room and just handed me this stack of paper. We went through the first three scenes that I had already read, which had changed a little bit. But Jerry Seinfeld was laughing his head off so loudly that that’s all I could hear. I had to actually compete vocally to override his incessant laughter, which was great, but then when I got to the end of the third scene, I realized that I still had an equally thick stack of paper in my hand, which were the next three scenes which I had never seen. Rather than say, “Oh I’m sorry, I haven’t seen these yet, may I take a moment and take a look at these,” I just felt like you’ve got Jerry Seinfeld cracking up! Another great thing that happened which you hope for in auditions for characters like that is I never spoke in my own voice. So at this moment, nobody in the room even knows I don’t speak like that, and I recalled advice from a great, great old actress who is deceased now, Sheree North. She told me “When you go into an audition and you’re playing a character, don’t ever let them know who you really are. Let them believe you are that character, because they don’t have the imagination to make the adjustment once you’ve come in and go, ‘Hi, how ya doin’,’ and then launch into the evil killer. So it was going so well, and I hadn’t said a word. Nobody knew that I didn’t really talk like this, so I just launched into the next three scenes absolutely stone-cold, picking the words up off the paper as I went. I just made that decision. Anyway, cut back to the set. The part turned out to be a lot bigger than I thought it was, and I was nervous. There were some really good character actors in that week who had smaller parts than I did. Yul Vazquez, who played the gay armoire thief with the Cuban accent, and John Paragon, who played the other armoire thief, who was Paul Reubens’ writing partner for a really long time — and he was in “Pee Wee’s Playhouse” and did specials with Paul Reubens on TV and stuff — so I knew these guys, and I was going “Wow.” Not to mention all the Seinfeld people themselves. So I tried to stick really verbatim to the script, not make any mistakes, be Mister Perfect, except for one line that Spike had written where Elaine does the Al Pacino impression, and I answer her with, “No soup for you! Come back.” The way he had written it was, “Come back in one year!” but I’m just flying with this accent. I’d been told when I do accents that, one producer said, “You really play the accent, and it becomes a character of itself.” It’s music to me, doing different accents. So I’m flying through this accent, and somehow, “Come back in one year!” just didn’t fit. So I said, “Come back, one year!” and everybody on the set just fell and started laughing. It was the first rehearsal. I don’t know whether it was Andy Ackerman or Larry David or someone who said, “Keep that.” So it became part of the lexicon because half the time when I sign autographs and stuff, people ask me if I’ll write, “Come back, one year!” So it’s almost hard to write grammatically. ANDELMAN: Your ears and your eyes see it differently, hear it differently. THOMAS: That was my single ad-lib. Other than that, everything was exactly how Spike wrote it. And then Larry David had a couple of adjustments to my scenes after the audience left the night we shot it. The mind of Larry David, it never turned off. He was always adjusting. ANDELMAN: Now, as funny as Seinfeld and David and the producers thought it was, there was someone there who didn’t think this was one of their better episodes, right? THOMAS: Right. Oh, my God! Who later came back to haunt me again, actually. Michael Richards hated this script so much that he spent the entire working week, it’s usually four days of rehearsal or actually kind of five days of rehearsal, and on the fifth day, you shoot it that night before the audience, but they cut off a day this week because it was in October during the Jewish holidays. And so we only did four days and shot it on the fourth night, but all four days, he was just bending anyone’s ear that would hear him on how terrible a script this was. Jerry Seinfeld and the Soup Nazi — actor Larry Thomas — reunited years after the show ended for a TV commercial. I don’t know who I felt more sorry for, me or Spike. Not only was I on “Seinfeld” for the first time, but it was my first really major television guest spot after 15, 18 years of trying to get one. And so I had to listen to it. Spike, of course, went with his first script for “Seinfeld,” so he had to listen to it. It was just basically Andy Ackerman and Larry David and Jerry trying to assuage Michael Richards all week, “Don’t worry about it, don’t worry about it.” Every time he had to do a scene, whether it was like the scene where he gets the armoire stolen and then Elaine doesn’t get his soup and he gets really upset about it, he kept stopping in the middle of the rehearsal going, “This doesn’t make any sense to me. Why am I so upset? I lost a major piece of furniture here, and I didn’t get a cup of soup, why am I so upset?” Andy Ackerman would have to keep saying, “But that’s the joke, Michael, the soup is that good.” And Michael said, “See, that’s what’s wrong with this episode. It’s an episode that doesn’t make any sense. It’s not based in reality.” He was really actually very careful about his reality even though he watched the show through all the nine seasons. He had the most non-sensical reality of all. But I guess from what I’ve heard, he used to have to be talked into a lot of it. And, in this particular one, he just really had to be talked into it, and then he actually came up to me a few times and would say, “Why is your character so mean? I don’t understand it.” I would be going like I got cast, alright? I’ve already done that part of this job. ANDELMAN: It’s a job, Michael. It’s keeping me in acting class a little longer. THOMAS: Yeah. My audition explained the way I’m playing it. I don’t need to change it, and I don’t really need to explain it to anybody. ANDELMAN: Now, you said that you had contact with him again later? There was another issue? THOMAS: Well, not really. I never met him again. I did during the finale briefly. I had him sign my Soup Nazi script, and he was very nice. But what I meant was in November 2006, when season seven came out, Sony had a major publicity tour planned for me in New York and Toronto to make appearances and do radio interviews and television shows to promote season seven. That’s the same day that the news broke about the problem he had at the Laugh Factory in L.A.
THOMAS: So, bit by bit, everywhere I went, every interview got cancelled because nobody wanted to promote “Seinfeld” that day. That was the day that it actually came out in the stores. The story that I just told you about Michael, I really don’t tell very often because I don’t want to put him in a bad light. He is an artist, and what he did with Kramer was pure genius. I still am amazed to this day, if you look at the development of the character through the show, it was comic genius. And so I don’t have anything against him at all, but I’m afraid people will take that story out of context and think he was a bad guy. I don’t think he was. I think it was just part of his genius that he questioned everything. ANDELMAN: Larry, did you do a commentary for the season seven DVD? THOMAS: Yeah. There’s a little bit of it on there. We sat there for two hours. They used a little bit of it, but I really love the bit they used. Out of everything we talked about, I love the bit they used because I had told a story about sitting in the bleachers watching the Jerry living room scene develop. The most rehearsal time is always spent in Jerry’s living room because, if you watch any episode, those are really the longest scenes. Everything sort of develops and is rehashed and talked about there, and then they go out and flashback or show it to you. But I would sit there in the bleachers, and we didn’t rehearse the Soup Nazi stuff until the last day anyway because they had to build the soup kitchen, but I would just sit there watching. A wonderful actor named Thom Barry who was Elaine’s building superintendent, sat there with me, and we would just watch these guys rehearse and, as actors, say, “Is this Eden, or what? This is like paradise.” These four incredibly talented funny people take a really good script, have a really great director like Andy Ackerman, and they just get to spend each day hashing through it, working on it, and it was just so fabulous to watch. One particular day, they were in Jerry’s living room. It was a scene in this episode where George and Elaine had decided to confront Jerry about how obnoxious his relationship was with Schmoopie, who was played by Ali Wentworth, who is now married to George Stephanopoulos, oddly enough, just to throw that in there. But they were about to confront him, and Julia Louis-Dreyfus, just off the cuff, just said, “You know what, Andy, wouldn’t it be funny if just as George is sort of preparing to confront Jerry, I sort of got up and walked around the back of the couch and went to the front door, and just as George is about to go, “Isn’t that right Elaine?” the door slams, and I’m gone.” And Andy just, he was so relaxed, he’s just such a great director, he goes, “Yeah, try it.” And for me, I’ve done so much theater, and this is very much like theater, and I’m just going, “Oh my, wow,” and she does it, she just tries it, and Andy goes yeah, “That works. Let’s work it up, and we’ll do it for Larry,” because Larry David would have the last word on everything. And so they did. Tom and I just got to sit there and watch with our jaws open, what paradise that was, and they did it, and it’s in the episode. It’s one of the really funny moments. ANDELMAN: Now, Larry, after the episode aired, what’s the first sign you had that your life has changed forever? I didn’t even know, at that point, there was a guy. I think I had been told on the set that it was based on somebody, but I didn’t know to what extent. I’d never seen him or heard of him, and so I turned on the news, and sure enough, in every news report, every late news report, they would be airing this comparison between me and this guy. There was a still of me from the show and a still of him, and then they would show my scene, and that continued for the rest of the weekend, all through the weekend. So I had had a feeling at that point that this wasn’t just any episode of “Seinfeld,” but I don’t think I realized till years later just what place it would take in the sort of lexicon of what “Seinfeld” did to our society. At Christmas, when I hear people talking about re-gifting, and you go to a party, and they’re talking about double-dipping, and you have to stop and say, wow, that show had such an effect. So, yeah, I kind of began to realize that having played this character was going to change my career. ANDELMAN: You actually met Al Yeganeh, the inspiration for the Soup Nazi, right? THOMAS: Yeah. The funny thing is I never got to meet Al before any time I played the character. I played him the first time without ever having seen or heard Al, and then I did the second time as well, which was in the finale, which was in 1998. Mine was in 1995. In 1999, I was in New York, and I got contacted by “Extra” and “Inside Edition,” and they wanted to have me go with them to his stand, and they were gonna interview him and introduce him to me and see how he’d react. So I did, and he was a very interesting character, Al. He really does get to raving and ranting quite a bit, especially if you bring up Jerry Seinfeld. ANDELMAN: Which, of course, no one did. THOMAS: He hates Jerry. He equates the name Jerry Seinfeld with being called the Soup Nazi and every bad thing about it where he really doesn’t equate anybody else with it. He doesn’t know the entertainment business, so he doesn’t realize that long before that episode, that was his nickname by the Letterman writers, was the Soup Nazi, and he was already called that. So Jerry’s to blame for everything. So he ranted and raved about Jerry a little bit, and then when they said, “This is the actor that played the character that was supposed to be you on the TV show, what do you have to say to him?” He said something like, “He’s an actor” or “He’s a good actor maybe, but he’s not a chef. He does not make soup. He does not make soup like I do,” or something like that. They said, “Would you shake hands with him?” and he said, “Yeah, of course,” and stuck out his hand, and I shook his hand, which I thought was really interesting. But unfortunately, the two shows never aired any of that because they felt like it wasn’t newsworthy that we shook hands. They felt like it only would have been newsworthy if we started screaming at each other. You’re a journalist, and you gotta cringe when you realize that journalism has come to that. Years later, we were doing “The Odd Couple” in New York in 2002, and I went up to his place again and stuck my head into his little kitchen and re-introduced myself, and we actually had a conversation that time, and he, once again, complimented me on my work. He said he had seen one of the scenes on the “Oprah” show or something, and he thought I was funny. So we talked, and he actually gave me soup, which was delicious, by the way. I have to say that his seafood bisque was knee-buckling. It was really good. So yeah, I haven’t seen him since then, but I may be one of the few people in the world that has had a really good experience with Al Yeganeh. ANDELMAN: Larry, actors on long-running TV series often fear, and rightly so, being forever labeled by a character. You achieved video immortality in just one episode. And I might add that most people think you’re actually on more than one episode, the finale aside. Is it a pro or a con that you did this? THOMAS: I’d have to say it’s a pro for me, but the con part of it is not what you’d think. The pro part of it is that, number one, at that point in my career, after 15 or 18 years of trying to get acting work and not being able to interest anybody in the world of big-time, what we call big-time film, TV, after that, everyone wanted to see me. Mike Myers wanted me to do a cameo in the first Austin Powers movie. It was a little bit limiting what they wanted me to audition for, mostly guys with dialects and kind of crazy, funny guys. But to be honest, I was suddenly auditioning for major television and built up quite a resume of guest spots on major TV shows, so I can’t assume that I would have gotten there anyway without that because it launched me like a shot in the arm from that one episode. I guess the con part of it, and I still get this to this day, is that if you’re Jason or you’re Julia or Michael, then yes, your career is seriously affected by nine seasons of playing this character. The problem with them is that the public doesn’t want to accept them as any other character since they loved them so much as that character. But at least they had the benefit of nine years of really good pay to put money in the bank and to buy nice houses. They’re major stars, so if they want to command a TV movie or lend their name to a good script or a low-budget movie or whatever, they’ve got carte blanche in those areas. There’s a lot they have going for them even though you want to feel sorry for them that their careers are kind of halted. But I don’t have that benefit. I only did one episode. The pay was $2,600, and of course, after taxes and commissions and what have you, I was $50 shy of paying my mortgage that month with that check. People think the residuals must be amazing, but what they don’t realize is residuals are salary-contingent, which means whoever was making the most money in that episode gets most of the residuals, and it wasn’t me. So my residuals, even for the DVD sales, has always been like not even gas money. In the end, I guess the con part of it is people treat me like I spent my career on that one part sometimes. I’ve actually gotten nasty letters from fans. I get a lot of autograph requests, and I have to say to people sometimes, “I can’t afford the postage so send me a self-addressed stamped envelope, and I’ll sign one of my headshots and send it to you.” Also, I make part of my living, other than new acting work, selling a Soup Nazi photo that I sign that Castle Rock and I agreed that I could take this one picture to be mine, because they wouldn’t let me use anything that they owned that was taken during the show. So I had this one photo commissioned of me in character, they okayed it, and on my Web site and eBay and at autograph shows, I sell that photo that I sign and autograph soup ladles that people can really get a kick out of. And so, sometimes I will say to a fan that’s saying, “Hey, can I have a free picture of you as the Soup Nazi?” “Well, I sell those.” And sometimes I’ll get a really nasty letter back that says, “What did you do with your millions of dollars? I can’t believe you’re a millionaire, and you want…” Of course, I was never a millionaire. I got less for doing that episode than most of the people that are yelling at me get once a month for their job. ANDELMAN: You did an episode of “Scrubs” that kind of plays into this. That was an accidental appearance. Can you tell us a little about that? The next day, they called my manager and said, “We wrote a scene for Larry where J.D. is trying to get him to say, ‘No soup for you!’ and he won’t” and all that stuff. So I got to shoot this great scene on “Scrubs” with Tara Reid and Zach Braff, and it was just all based on that. ANDELMAN: And Tara Reid thought this was just going to remake your whole career, right? THOMAS: Yeah. If anyone’s ever seen the episode, basically, what happens is J.D. says, “Aren’t you the Soup Nazi from ‘Seinfeld’?” And I say, “No.” And he goes, “Come on, say the soup thing!” And I say, “No.” Originally, what we shot was different. Originally, he said, “Aren’t you the Soup Nazi from ‘Seinfeld’?” And I say, “No, I’m actually a classically-trained actor who has played many other roles, and it’s a little shallow to pigeonhole a guy in one TV guest spot he did over eight years ago, don’t ya think?” And then J.D. says, “Come on, say the soup thing! I go, “No.” Actually, there was this speech saying, “Yes, I’m the actor but whatever.” And all through that day after we shot that, like over lunch and whatever, Tara Reid kept saying to me, “I think this is gonna totally change your career. I think once this episode airs, and they see you saying that speech, they’re gonna realize that you are a better actor than that” and whatever. But, unfortunately for me — and this is the life of an actor — somewhere in editing, they decided to change the meaning of the scene from, “No, I’m not only the Soup Nazi,” to “No, I’m not him.” And so they had to cut that speech in order to get that meaning which is, “Aren’t you the Soup Nazi from ‘Seinfeld’?” “No.” “Say the soup thing!” “No.” And then later in the scene, J.D. says, “Oh, he is so the Soup Nazi,” and he tricks me into saying it. And you have to live with that stuff. You just have to. ANDELMAN: Now, it’s interesting that as sort of typecast as the Soup Nazi made you, your new movie coming out, Postal, which I think comes out in September, you play another character that people will equate to immediately. Can you tell us a little about that? ANDELMAN: How many actors can say that they played a Nazi and the leader of Al Qaeda in one career? THOMAS: I know — and a Jewish actor. ANDELMAN: Oh, I didn’t realize that. Are you Jewish? Order from Amazon.com by clicking on the DVD above! THOMAS: Yeah. I’m a Brooklyn Jew from Borough Park, Brooklyn. And my mother laughed her head off. You mentioned something about “Arrested Development” earlier. Not only have I played a Nazi, Osama, not a real Nazi but a person called a Nazi, Osama, but in “Arrested Development,” I was a Saddam Hussein look-a-like in Iraq. So I’ve hit ‘em all, really. I don’t think there’s anything much left that you can hit being Jewish. Watch the Trailer for Postal! ANDELMAN: Now, who else is in Postal? There’s a lot of familiar faces in this movie. THOMAS: It’s really gonna be character-driven. Dave Foley plays one of the lead characters in it. J.K. Simmons, who was J. Jonah Jameson in the Spider-Man movies, he’s in it. Verne Troyer, who was Mini-Me in the Austin Powers movies, he’s in it. David Huddleston, who has a really rich career from all the Mel Brooks movies like Blazing Saddles and many, many movies, he’s in it. Seymour Cassel has had a great career, he’s in it. A lot of well-known character faces you’ll see in Postal. The lead is played by an actor named Zack Ward who, although you might not recognize him as a grown-up, but Zack was in the movie A Christmas Story which is everybody’s favorite Christmas movie these days. He was the bully “Scut Farkus” who had yellow eyes, that was Zack when he was a kid, and he’s the young leading man in the movie.although what I hear from Zack, his career is taking off like a shotgun right now, so you might be seeing Zack in other things even before Postal, at this point. THOMAS: Yeah. I first met Zack about two years ago just sort of coincidentally. Actually, when I got cast in Postal and shot in Canada, when I went up there, waiting for me in my hotel room was a script, and in the script was a cast list, and I opened it up, and the first thing I see is “Dude,” Zack Ward. And I thought, oh, that’s funny. How odd is that that I know Zack. So I called him, and I just said, “Hey, man, we’re in the same movie!” And so yeah, things have been really cooking for him, which is great.